Hi Konrad–Can you tell me what the color codes are on the Neandertal scale? And I saw someone reference a high value in a HapMap individual, but I haven’t had time to track that down. Do you know what value that is on your display? I may need to change my avatar from Simpsonian to Neandertal…. The color codes are fairly arbitrary; we based it on the highest we’d seen so far (at the time 19). Since then, I’ve heard of up to 26. The Neandertal exercise really just counts the number of putatively “Neandertal-derived” alleles in a personal genome. There is no interpretation in the gauge, but just a fun way to represent the data. Thanks Konrad. I’m still considering starting a Neandertal rights support group, and political PAC. Maybe I’ll try to collect all the people at my number and higher (apparently I’m not the highest…whew…) and see what we can do about that….Heh. 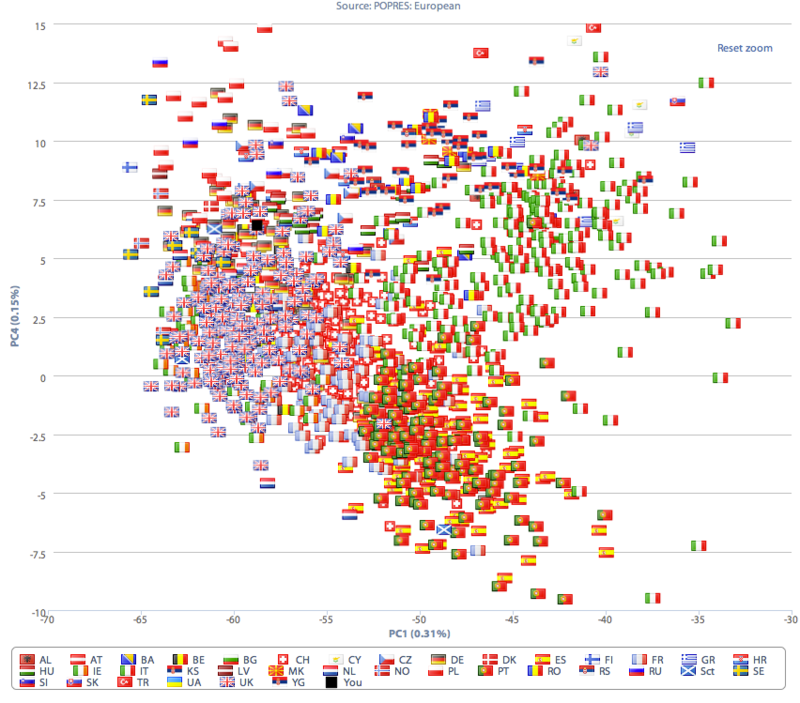 We haven’t determined a true “average” yet for each population, but in our experience, it seems that the average for Europeans is in the 5-10 range.